Exit Interview by Amrita Mukherjee looks pretty good from its cover. It grabbed my attention instantly, I loved it the initial phase as it started to unfold the world of the protagonist, which was damn interesting, in a quick session. I was totally hooked into the story. The basic concept of the book was about the hardship that a woman has to face in her working place. The disappointing part of the book is its second part. It’s very slow and moreover turns out to be very philosophical, which was totally unexpected after the pacy first half of the book. Although in the end, the book concludes at a very good point. If the book would have been a little short of length or the second half would have been written tightly, this story could have done wonders. Although I loved the writing of the author. I’ll give this one 3.5/5 stars. Deserves to be read. When the rebellious Rasha Roy leaves the comfort of her home to pursue a career in journalism, little does she know of the challenges that lie in her path. But she quickly discovers that life isn't a bed of roses for young rookies - especially one with a mind of her own - despite her exceptional acumen for sniffing out stories. 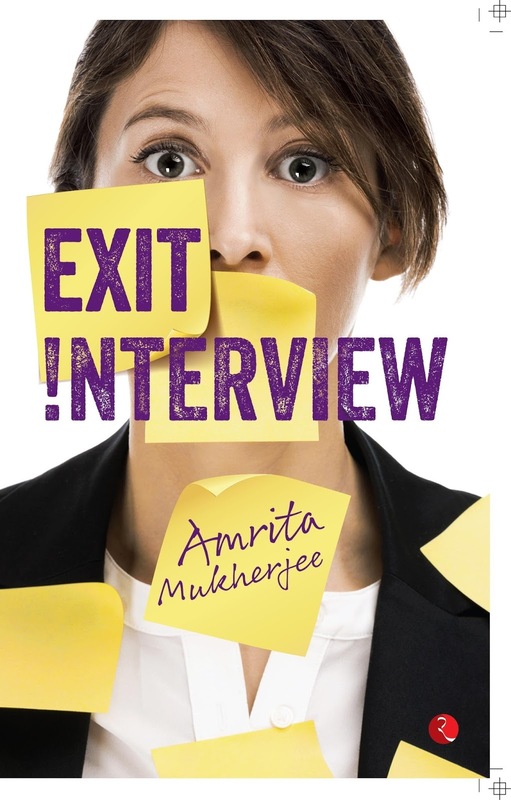 As she moves from one job to another - first in India and then in Dubai - trying to make herself heard, she realizes that the companies' exit interviews are all a sham. Those three short lines on the interview form are not enough to sum up her struggles. She cannot write about the sexual harassment she has faced at the workplace, the promotions she has missed because of nepotism and the trouble she has landed in for a shocking exposé. But a chance encounter with a young woman at a police station in Cairo leads Rasha to stumble on to the biggest story of her life. Will this be the big break that she has been looking for? Or will this story too, like so many of her others, be sent to an early grave? Exit Interview is the captivating story of an ambitious young woman trying to find her place in an unforgiving world.